To mix things up a little our friend Aaron Brian scored some really good seats to a Portland Trailblazers playoff game against the Dallas Mavericks. They came with a hefty price tag but we didn’t mind. It was more about the social gathering of friends, something different, and it’s always fun to have sweet seats where you can see and hear more of the action. Aaron did well and he, Amy Sproston, Todd Janssen and myself headed over to the (then) Rose Garden (now Moda Center) to watch a little NBA basketball, even though none of us were huge fans! It was a Saturday afternoon playoff game in downtown Portland and ironically it was a gorgeous, sunny, and warm spring day. Out of all the Saturdays that we head out into the cold, rainy forests and mountains, the day that is ideal running weather we are sitting indoors! Days like this in the spring seem to ignite happiness in people of the pacific northwest, and folks were definitely energized as we all headed into the arena. Apparently Portland has been known around the NBA for many years for having some of the most devoted and loud-cheering fans, and it is also one of the smallest venues in the league. Then, just as we were ready to “give up”, the amazing happened. Portland began chipping away at the monstrous lead that Dallas had built. We began to sit more on the edges of our seats becoming more intrigued. 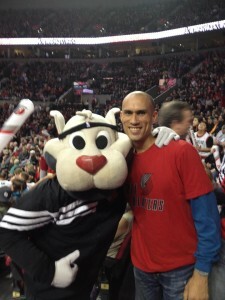 With every missed shot by Dallas, and every connection by Portland, the energy in the stands grew. As the lead dwindled from the teens into single digits the place was pandemonium at times. I, personally, have been to quite a few professional games and this was by far the loudest I have ever experienced. Portland’s franchise player (Brandon Roy) was, what athletes call, “in the zone” or “in the flow”. He could not miss a shot and took control of the game with the crazed fans fueling his onslaught on Dallas. With less than 66 seconds left in the game Roy launched a 3 pointer, and was fouled in the process, to tie the game! I get chills thinking about how the entire place absolutely erupted so loudly that it nearly blew the roof off! 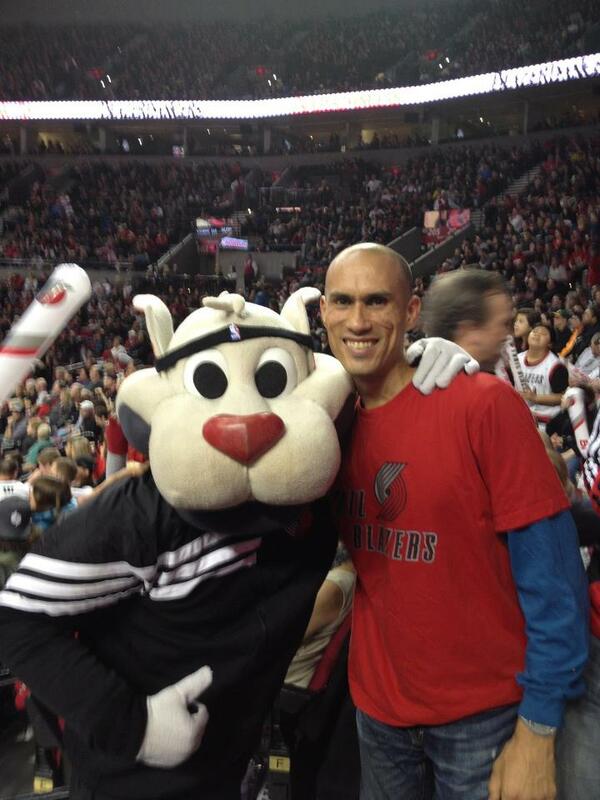 In the end, Brandon Roy hit one more shot to give Portland the lead and the Blazers went on to win the game. We all witnessed an epic record being set as it is still to this day the biggest comeback in NBA playoff history. Portland came back from a 23 point deficit in one quarter of play. The four of us friends that experienced that game will forever remember it. It’s one of the things I love about all sports; the lessons we can learn from never giving up. As I left the arena (and the four of us friends dispersed) I was walking down the waterfront esplanade still wearing my Blazers shirt. I would see other fans in passing that were also obviously at the game. Many of us strangers felt like we had a certain camaraderie or shared bond between us, and were still shaking our heads in disbelief. It was a magical afternoon. I obviously still think about this game from time to time, especially how it pertains to running ultra marathons. There are times in ultras where you think it’s over. The clock may say so. How your body is feeling may tell your brain to tell you to “throw in the towel”. Often times if you just keep going, not giving up, things can change, and every once in a while the AMAZING happens! Even if you’re not a basketball fan, I invite you to watch the video of the comeback, and remember…Never Give Up! 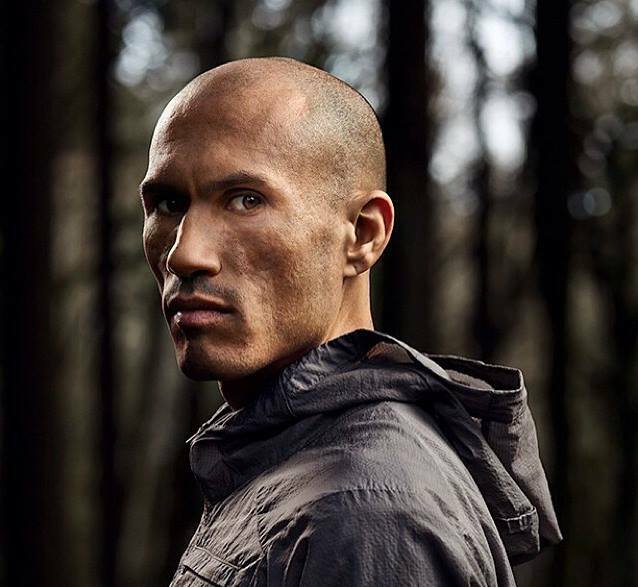 Yassine Diboun is an accomplished trail & ultra runner and coach who resides in Portland, Oregon. Before turning to the trails, Yassine was a collegiate basketball player. Yassine is the co-owner of Animal Athletics, a community based organization established to get people outside enjoying the beauty of the Pacific Northwest. When he isn’t training or racing, Yassine can often be found helping at events in the Northwest Mountain Trail Series.